WESPA METALLSÄGENFABRIK SIMONDS INDUSTRIES GMBH, Fűrész- és motoros fűrészlapok, Szerszámok, nem motoros, Bimetal saw bands, az EUROPAGES oldalakon. 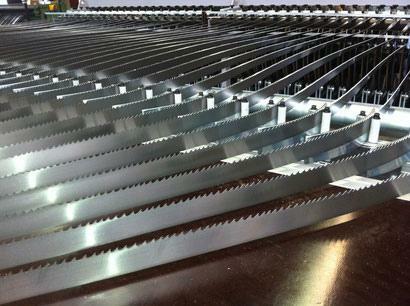 WESPA is one of the leading manufacturers of sawing tools in the world. At their German headquarters in Melsungen, over 100 employees manufacture an unbeatably diverse product range which meets requirements from a wide range of sectors. 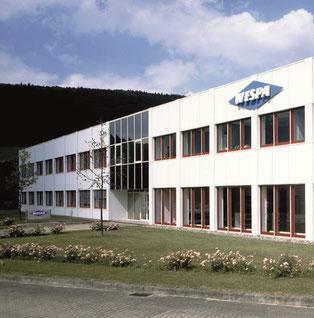 WESPA products are optimally adapted to our industrial customers' requirements and enjoy the trust of representatives, dealers and industrial customers all over the world. As a full service provider, we deliver custom-made solutions which significantly improve our customers' edge over the competition. Reputable global players from industries including automotive, aerospace, steel and mechanical engineering rely on WESPA sawing tools. By choosing our products, customers express their trust in us; trust which, as you can see, pays off in no time at all.